::Instant Download:: NO NEED FOR SHIPPING! 8.5 x 11 high resolution PDF – This size makes this easy to print on your home printer on letter sized paper. I include one file with borders and one without. … Am so happy to have this poster by @alissamarquess framed and hung on our kitchen wall. 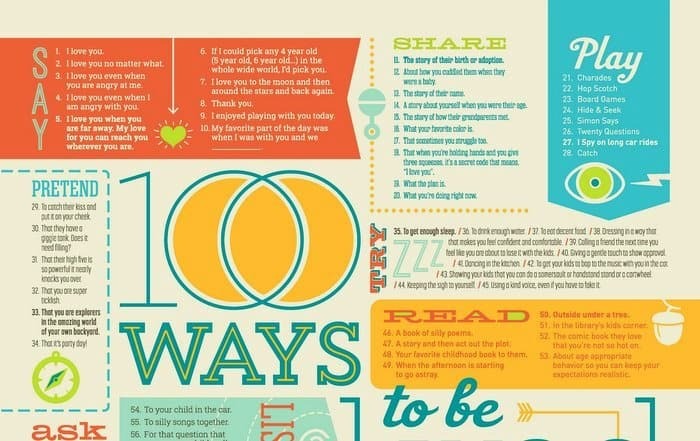 I stop and read ideas on it at least once a day and feel like it’s helping me be a better mother (especially more patient and kind when I’m feeling frustrated). I love the poster. It helps me to remember the important things when I am having a really bad day. 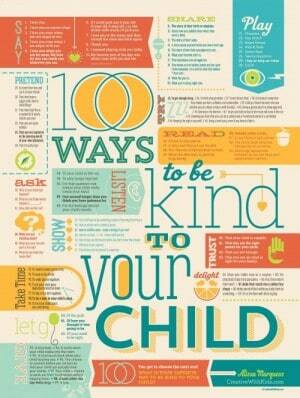 This cheerful poster came from an extremely popular post on Bounceback Parenting called “100 Ways to be Kind to Your Child“. 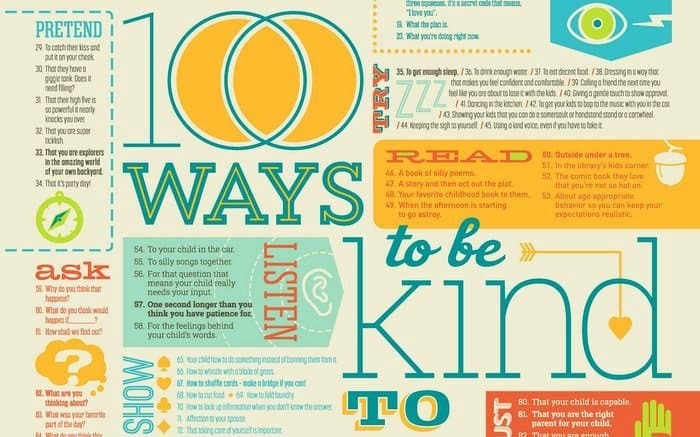 This printable of 100 Ways to be Kind to Your Child gives you a visual reminder of the simple ways you can connect and show love to kids. 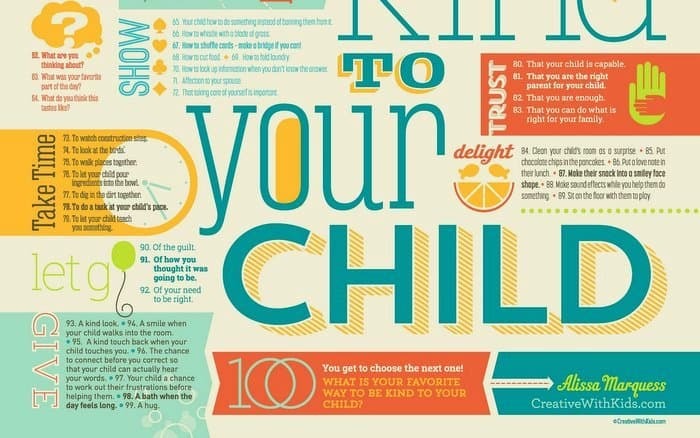 Designed by Brent Almond of Design Nut, this poster has classic colors and intriguing art that will fit in playfully by the kids room, or artfully in the dining room or office. 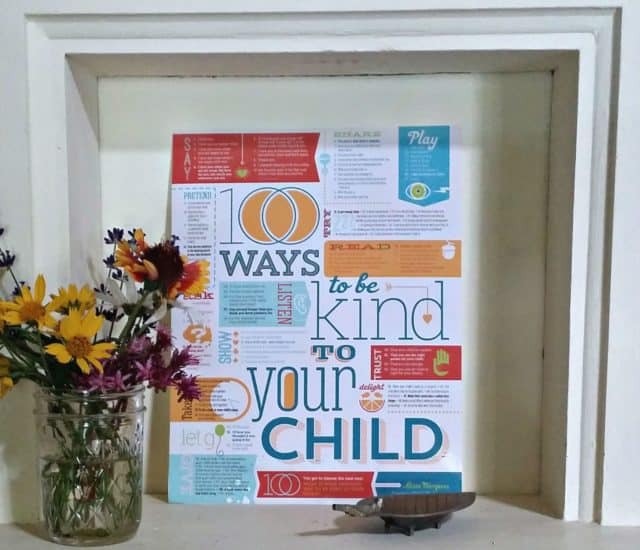 Hang it in a playroom or a classroom to have an easy to glance at list of simple yet powerful ways you can add love and connection to your days. You’ll also be reminded of all the good things you’re doing already!